Cisco CCNA: subnetting class B addresses, from start to finish. In my previous post, I shared how we can subnet a class C address with an example. In this post, I will share how to subnet a class B address with two examples. Since class B uses two octets for the host bit, I will show two examples one from each octets. Let’s get going. 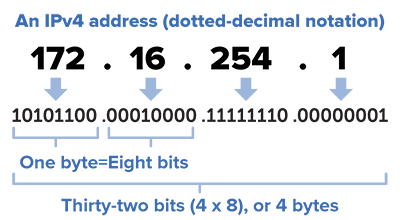 Range of class B address: first of all, be reminded that any IP whose values in the first octet fall between 128 and 191, is a class B address. (i) The number of subnets that the given address and subnetmak will produce. (i) To determine the number of subnets, use 2^X, where X is equal to the number of bits borrowed. This will give 2^3=8 (the default subnetmask for B is 16 but in this example, we are given /19, meaning that we borrowed 3.) So our number of subnets will be 8. Question one answered.You may also like: Subnetting class A address, from start to finish. give 32-19=13 (IPv4 is a 32-bit address format and in this example, 19 bits are turned on) Now, that will have 13 off, we will substitute that into the equation, giving us 2^13-2=8,190. We will have 8,190 hosts per subnets (the -2 is for the network and broadcast addresses that we can’t assign to hosts on the networks). (iii) List all subnets, valid IP addresses and their broadcast. (i) Number of subnet will be 2^X where X equals the number of borrowed bits. This will give us 2^10=1024 (again, the default for class B is 16 but in this example, we have /29. So when you substitute 16 from 29, you have 10). Answer to question (i) is 1024 subnets. If you have any question on this or other issues, please use the comment box. Thanks. 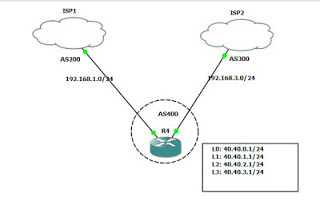 Cisco CCNA: Subnetting class C address made easy, from start to finish. ← Cisco CCNA: Subnetting class C address made easy, from start to finish. Cisco CCNA: variable length subnet mask, from start to finish.